A visit to MPM can mean many things: A field trip, a trek through Africa, or the experience of a show in our Dome Theater. Find out what's happening, when it's happening, and better yet, how to make your visit a hassle-free experience. Visiting MPM - Get hours, ticket prices, directions, and everything you need to plan your outing at MPM. 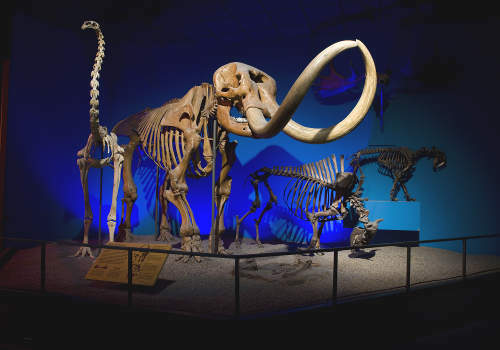 Exhibitions - Learn about our spectacular special exhibitions and our world-class dioramas and permanent exhibits. Calendar - Find out what's happening at MPM and when! Educators - Plan a field trip, learn about our great educator events and program opportunities, and find out what resources are available to help make MPM come to life for your students. Theater & Planetarium - See what's showing in our Dome Theater on the day of your visit. Plan an Event - Throw the party of a lifetime at MPM! We offer a one-of-a-kind venue for weddings, dinners, holiday parties, and more. Join us for members-only preview programs of our Fall 2017 exhibit, Weapons: Beyond the Blade!